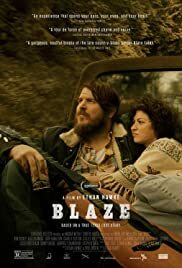 Blaze was not another story about a washed up country singer who just couldn't help himself, but more like a guy who very humanly did the best he could in a most authentic way. The supporting cast of characters were amazing and this story was about love, destiny, pain and acceptance. Ben wrapped the whole thing up with a bow when delivering the monologue at the end, where Blaze allowed himself just a second to acknowledge his father's effect and his own regrets before putting on the armour and standing up for right. Being lucky enough to attend a Q&A after makes me ready to see it again. Why is Alia Shawkat not listed in cast & crew?